Going through life is trudging through the possibilities of pain and bliss, of hurt and mirth, of thrills and chills. That’s what Mystery Publishers’ newest and youngest writer, Boniface Sagini, tells the world in his debut book, Thrills and Chills. 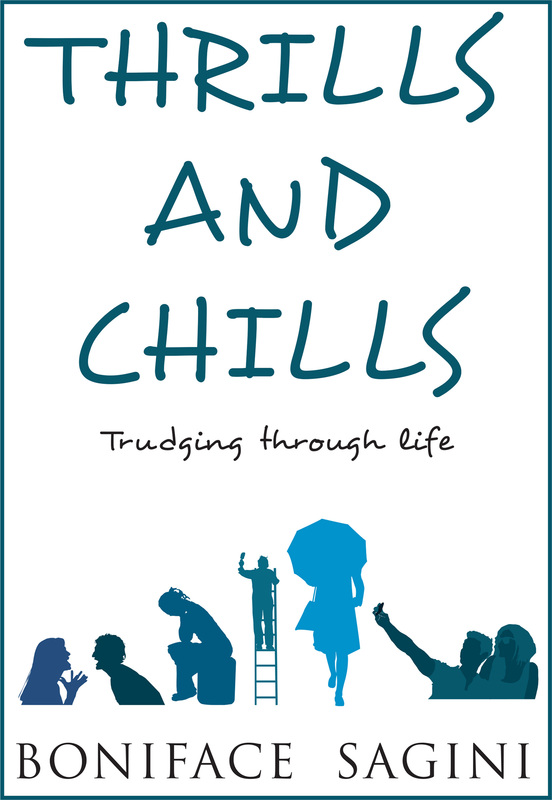 THRILLS AND CHILLS: Trudging Through Life by Boniface Sagini talks about eking life. How the woes of life can be trumped is the crux of it. It’s a gentle reminder of how truly amazing life it as those times we are hitting a rough patch, when the oomph and enthusiasm is ebbing away. Boniface Sagini is a Kenyan cultured writer, an engineering student from the Technical University of Kenya (TUK).